We couldn’t figure out the mystery. Our bathroom floor was always wet and the flooring was getting ruined. We had the plumber out there twice but all he said was, “There’s no leak, there’s no leak. 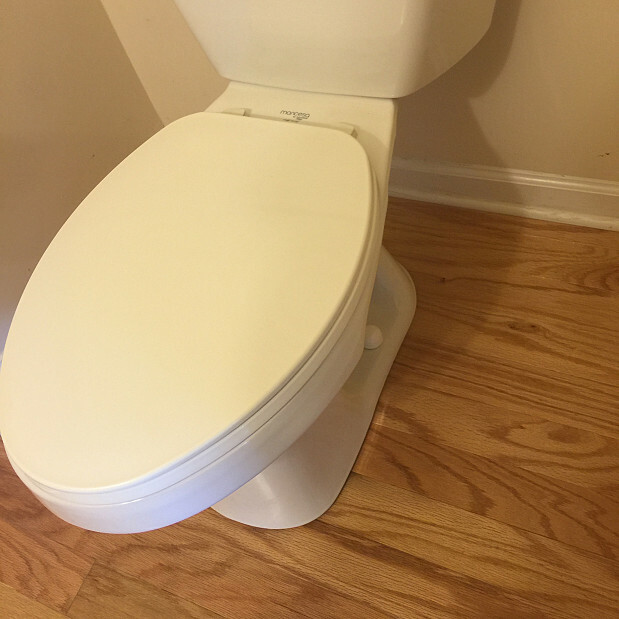 Somebody in the house is missing the toilet,” which is ridiculous. If you looked at the floor, the leak was in the back … so you could tell that was a joke. Finding a contractor to replace the flooring could be described as an adventure. However, it was actually more like a frustrating nightmare, trying to find somebody to work on the floor problem. We looked for months. I think it made them nervious that it was a combination of plumbing and flooring and they couldn’t figure out where the leak was coming from. What’s funny is that the inspector for the buyer finally told us what was wrong with the toilet. When he came in, he said, “Oh yeah, you just need to buy a jumbo ring instead of a regular ring.” Our response was: “Really? Okay! No one ever told us that!” Thank goodness he commented because sure enough, that’s all it was. We found Smart Flooring Solution through an online contractor referral service. He was the only option that popped up for my area, but he contacted me within 10 minutes of putting in my request. We had also gotten bids from a couple of other companies, including somebody right in our neighborhood, but his was a lot cheaper. Plus we had just sold the house so we wanted to get an “official,” pre-screened contractor to fix it, to show the buyer that we had gotten a reputable person. He confirmed our appointment for the estimate and then the day and time he was coming to do the installation, so I thought his communication was very good. We had extra laminate flooring on hand, the same type as what was there already. 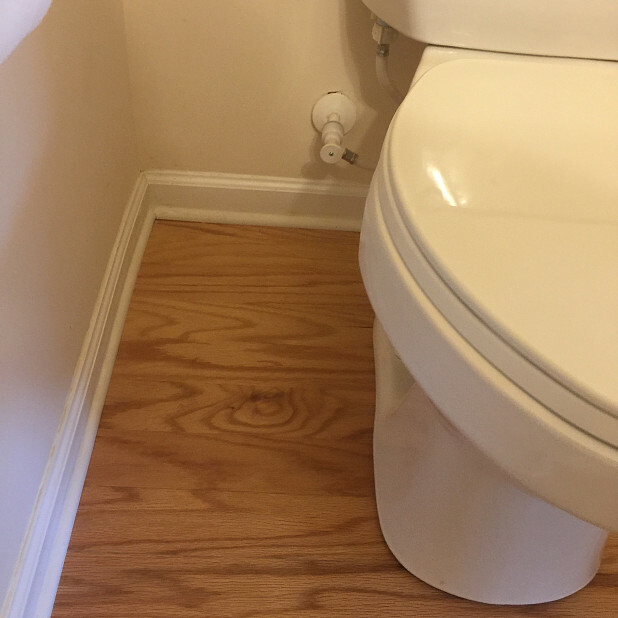 So on the day of the installation, basically what he did was pull up the toilet, change the ring for the correct size, and then remove and replace the damaged flooring. It took him a couple of hours altogether. We were very pleased with the results; it was an easy process, he did a great job, and I have no complaints. Smart Flooring Solution Jennifer Neal: Great work and price! Floor Tile Replacement in Every Inch of the House by Cristina B.
Tub and Shower Tile Upgrade to Replace Cheap Imitation Marble by Ruthie N.